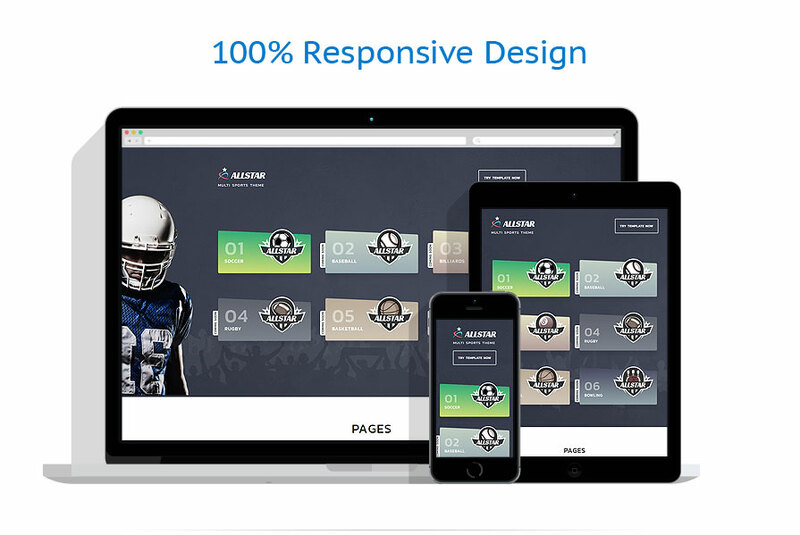 Our Multi Sports theme is the most practical solution for creating a sports website. We offer mobile-friendly, responsive design, that's available all over the world and from any known device. See the wide range of customization our template has to offer. A sizable collection of trusty widgets will help you manage the site. Feel like sharing your thoughts with your online visitors? In a need to post photos for your clients? No problem! Setting up a gallery has never been easier. Need to share your thoughts with customers? You can simply use our Personal Blog feature. Need to share statements from satisfied customers? Using our testimonials feature, you will be able to do it quite easily. This template was made for sports, outdoors &amp; travel websites.